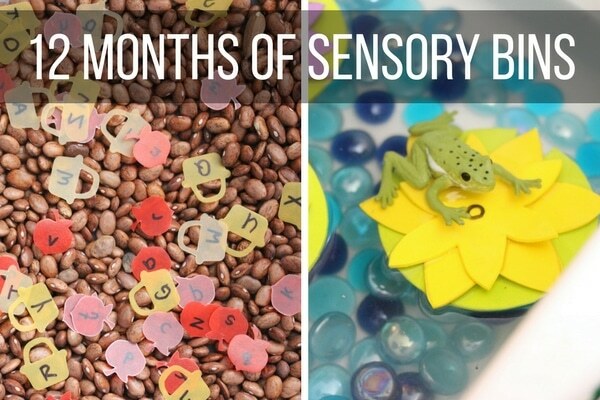 Sensory Bins are a staple in my home and my preschool program – they are a great way to extend learning opportunities in a fun and open-ended way. 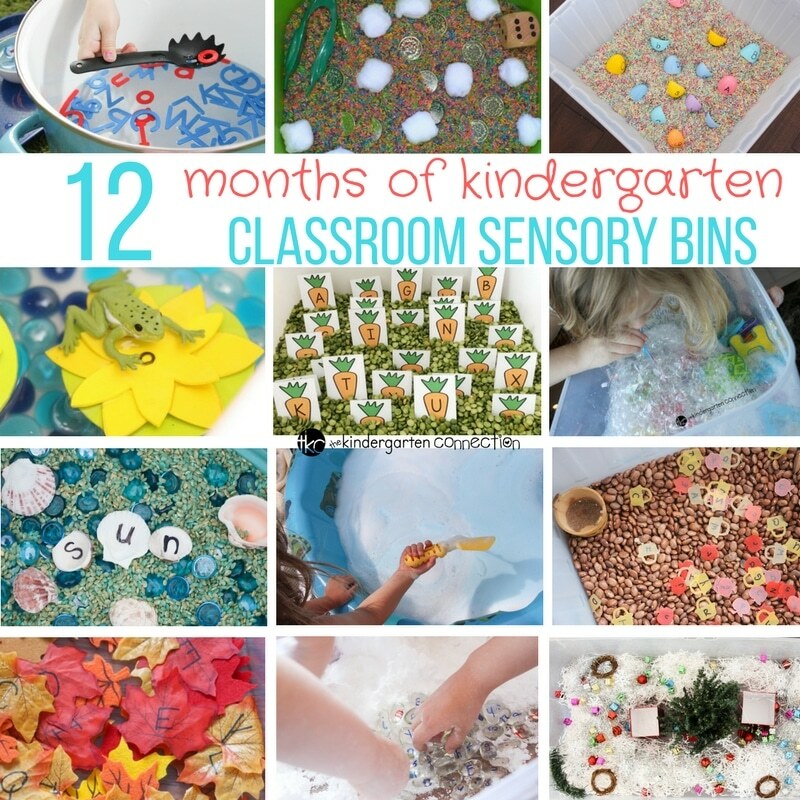 This collection of 12 Classroom Sensory Bin Activities will last you all year long and most can be stored for repeated use year after year! 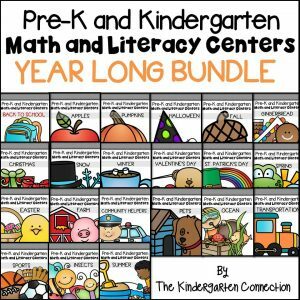 I loved creating our 12+ Months of Play Dough Kits so much and it was kind of disappointing when we reached the end of that series. 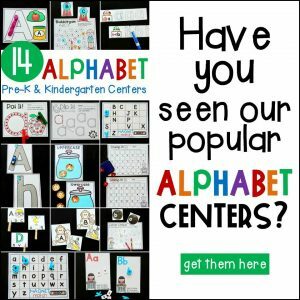 Sensory bins are always a great addition to any classroom – you can use roll-away storage bins or if you have a classic classroom “sand table” those are great for holding a variety of sensory bins. 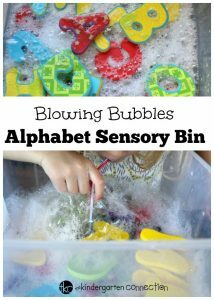 It’s a great self-contained activity for children to visit on their own accord for a bit of sensory stimulation. Just like with our play dough kits, we did a couple “holiday” bins (Easter and Christmas, specifically) that can be easily made more neutral if you don’t celebrate holidays within your classroom. 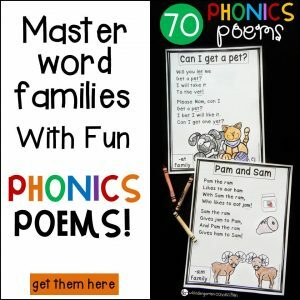 Substitute any manipulative that requires two parts to fit into each other to substitute for the plastic Easter eggs in our Rainbow Egg Bin and take out the Christmas tree, fake mini presents and ornaments used in our Christmas Word Building bin (the rest is “winter-y” enough that it can be left as-is). 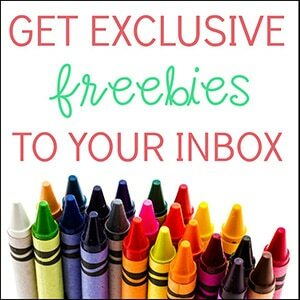 Check to see what you have already on hand in your classroom! Factors to consider when making your bins for a classroom setting are allergies, cultural sensitivities, and your budget and tolerance for mess. 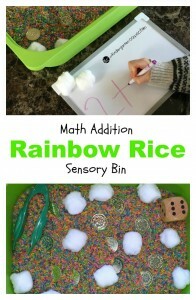 We have used beans, small pebbles or aquarium gravel can be used in place, the rainbow rice can be replaced with polyfill, confetti, epsom salts, etc. 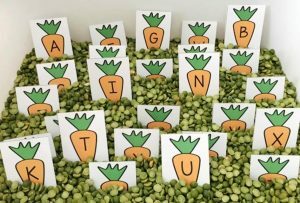 I hope your kindergarten class loves this collection of seasonal sensory bins!